The Bradbury Light Structural Steel Framing line is designed to produce 14 ga. - 20 ga. stud and track products at speeds up to 500 FPM. The typical web width range is 1.625” – 8” but can be customized to meet a customer’s specific needs. The typical line includes a 6,500 lb. capacity uncoiler, LS Viper™ or DW Viper® punch unit, our STR™ rollformer and closed loop post-cut shear. 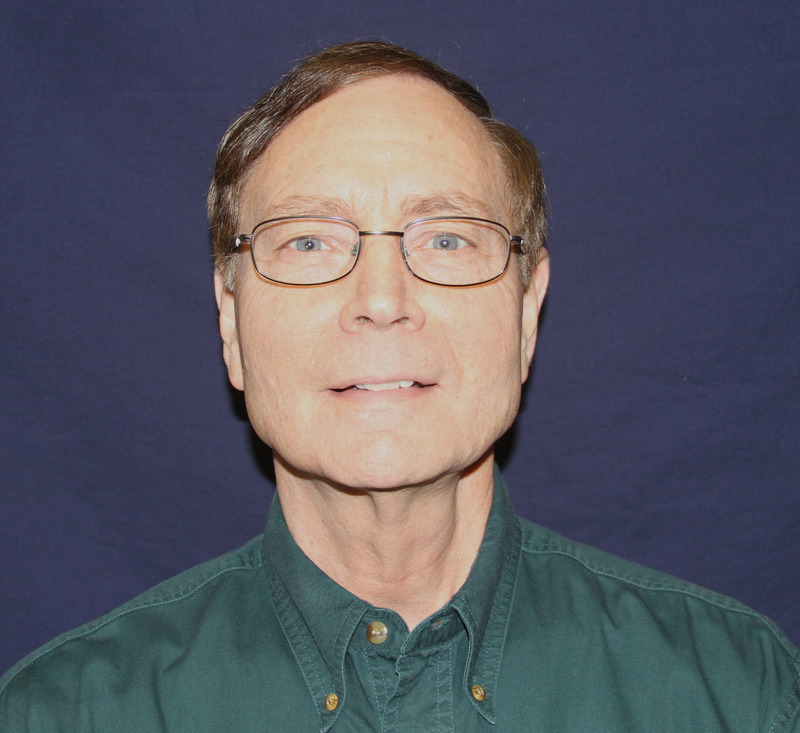 With forty-five years of service to The Bradbury Co., Inc, Verne Voth has been a driving force behind the roll forming industry in the metal construction market. Verne has personally been involved in the design of standing seam roof panels, architectural wall panels, insulated panels, structural framing components, decking, curtain doors, roll-up doors, sectional doors, etc. His name is well recognized by numerous suppliers in the North American metal building industry. He has individually designed hundreds of sets of roll tooling and provided oversight to the design of thousands of others. Verne has played a major role in the development of numerous Bradbury projects. 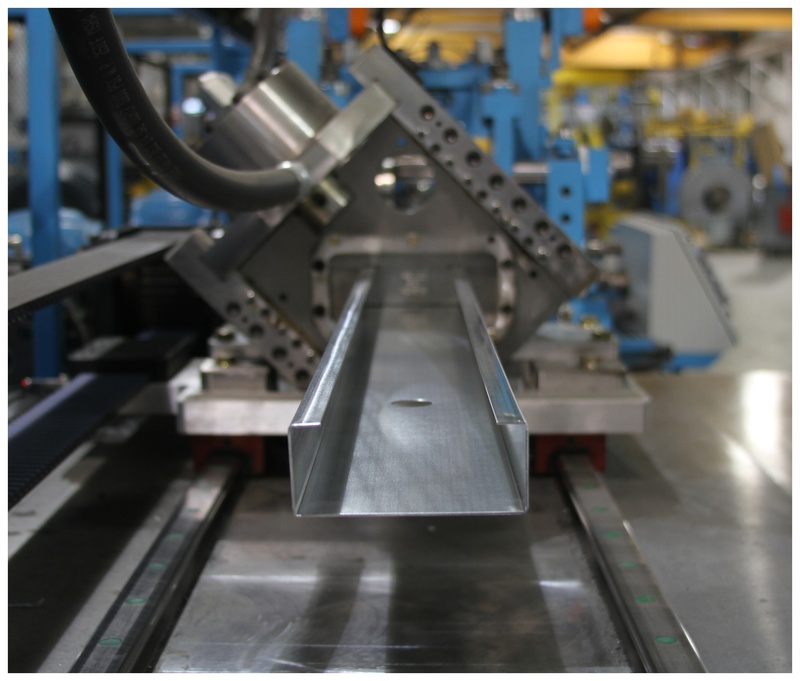 Bradbury's bridge deck roll forming line is able to produce a closed end bridge deck profile. This line includes a 20,000 lb capacity uncoiler, thread up table with entry shear, a 22 pass Rafted® roll former with 4 1/2" shafts and post shear and press to crimp, notch, and shear the leading and trailing ends of the 2” deep Deck Profile. The Bradbury Group is pleased to recognize our people. 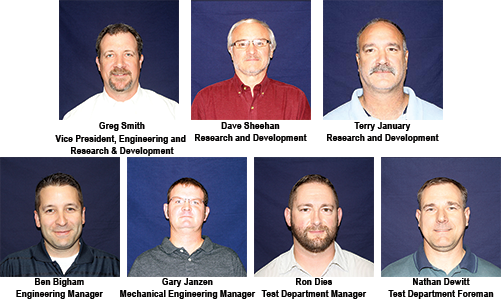 At Bradbury, Moundridge, Kansas, we have created a Research and Development group within the engineering department that consists of Dave Sheehan, Terry January, and Greg Smith. This group has over 70 years of experience at the company and we are excited for the opportunity to work on new concepts as well as advancing existing concepts. The Bradbury Group is pleased to announce Greg Smith has been promoted to Vice President Engineering, Research and Development. Employed by Bradbury since 1994, Greg previously held the position of Senior Manager – Engineering for the past 15 years. In his new role Greg will take on additional responsibilities for Research and Development with a newly established R&D team and be responsible for setting the global engineering direction for The Bradbury Group. He also continues to have responsibility for his existing departments including engineering, customer service and equipment testing. 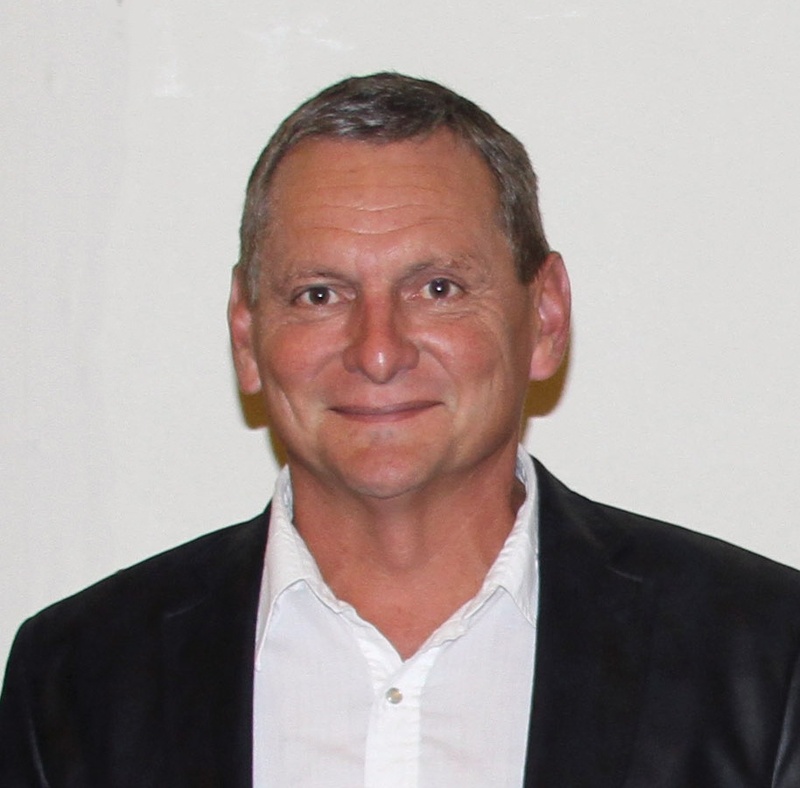 The Bradbury Group is pleased to announce Jerry Graber has been promoted to Vice President Manufacturing. 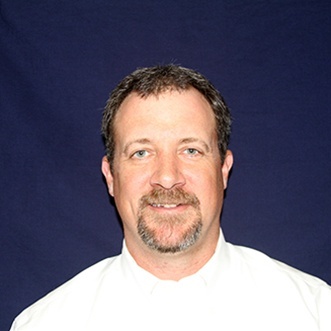 Jerry has been employed by Bradbury since 1981, serving as Senior Manager Manufacturing for the past 18 years. He has been instrumental in growing our manufacturing operations and his team leadership and led initiatives including implementing a continuous improvement process and inventory reduction via the use of Kanban as well as implementation of Theory of Constraints, 5S and Lean Manufacturing. In his new role Jerry will be continue to be responsible for all manufacturing operations at our group headquarters and take on the additional responsibility for global manufacturing alignment to help us achieve and maximize use of our global manufacturing footprint and combined global purchasing relationships. The Bradbury Group is pleased to announce the promotion of Ryan Durst to Vice President Sales and Marketing. 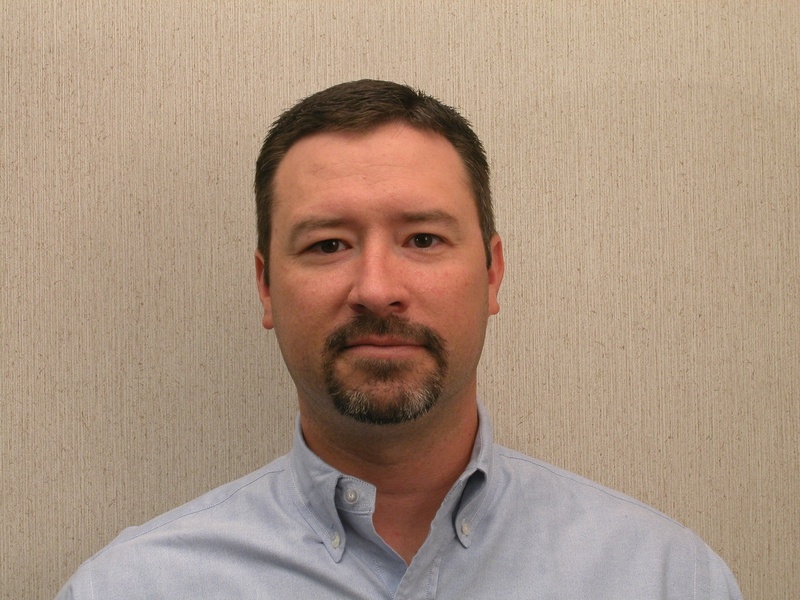 Ryan has been employed by Bradbury for the past 20 years, serving as Senior Manager of Sales and Marketing since 2001. In his new role Ryan will be responsible for setting the strategic direction of our global sales and marketing as well as working with group general management to align all group companies to a common mission. The Bradbury Group Announces Strategic Partnership with Bonak S.A. The Bradbury Group is pleased to announce a strategic partnership with Bonak S.A., San Sebastián, Spain. 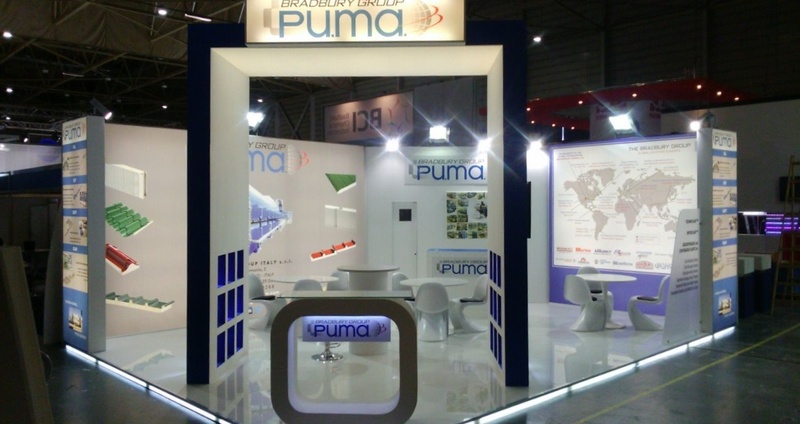 Together, both companies will expand opportunities through innovative know-how and an expansive global footprint. 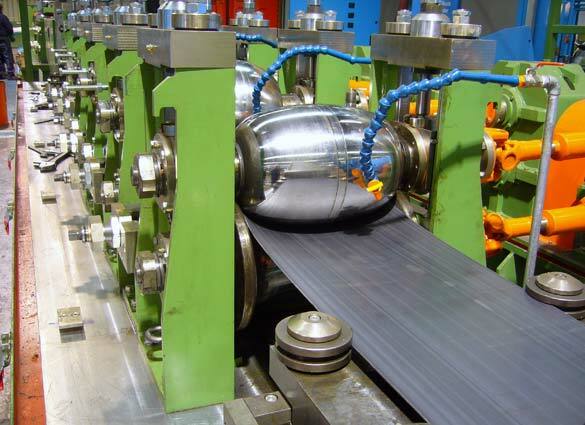 “Bonak is a very well respected name in the tube mill, coil processing, rollforming and insulated panel industries. Their name recognition brings high quality opportunities to our Group of Companies. Located only one kilometer from Athader, our other division in San Sebastián, will allow us to grow our capabilities in Spain and to better service Europe. Bonak’s expertise in continuous welded tube lines is a growth area which is not covered elsewhere in our Group and provides for global opportunities,” commented David Cox, President and Chief Operating Officer of The Bradbury Group. “Bonak’s commitment to servicing their existing customer base aligns perfectly with our customer service objectives. We are very pleased to join together with the team at Bonak,” he added.